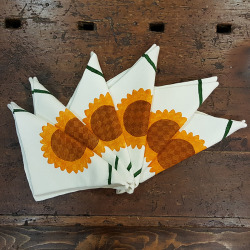 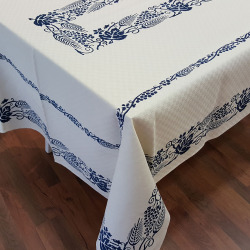 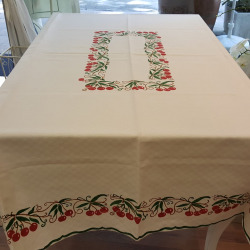 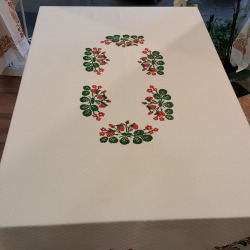 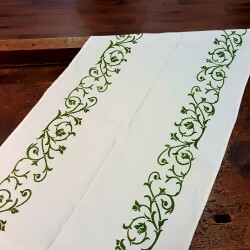 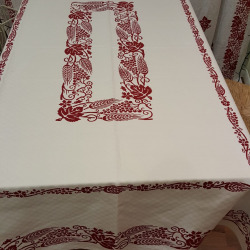 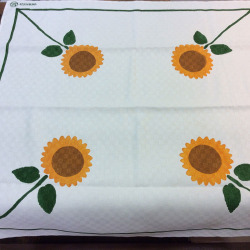 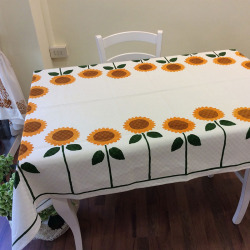 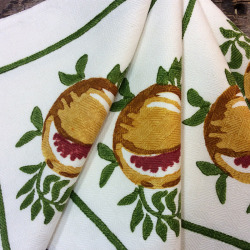 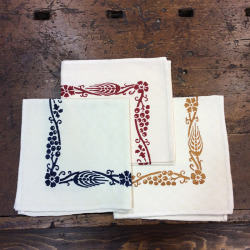 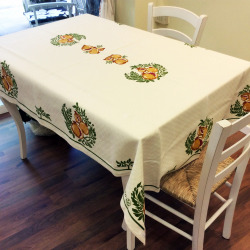 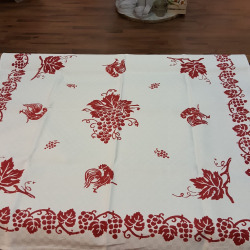 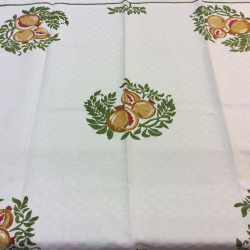 Hand-printed linen blend tablecloth with cherry print, made with unique design and not repeatable, modern and elegant. 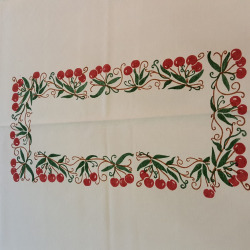 Note the accuracy of the design with cherries and leaves. 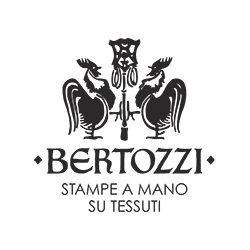 The printing is done through ancient methods of Romagna printing which allows color resistance even after several machine washes.